Many a times we have heard of the terms, “zoned HVAC systems”. A question might arise in your mind as in what is the meaning of zoned HVAC systems. To put it in simple terms zoned HVAC systems allows a building or a home to be divided into two or more separate zones. The best thing about these zoned HVAC systems is that they allow better control over the heating and the cooling system and at the same time it becomes easy to control individual temperature mechanism in each of the zones. Rather it can be said that the house is divided into different zones as per their heating and cooling needs. A typical example of a house that has a zoned HVAC system is that the temperature in the kitchen is kept lower while the temperature in the bedrooms is kept higher. However, you might be thinking what is that causes the zoned HVAC systems to perform. It is nothing but electronic thermostats and controlled modulating dampers. One of the most prominent advantages of zoned HVAC systems is that it saves energy by not heating or cooling those areas of the home where it is not required. But it does not mean that zoning of the HVAC system has an impact in its efficiency rather this system makes the most efficient use of the HVAC unit. There are several benefits associated with a zoned HVAC system. First of all with the presence of an electronic thermostat you just have to set the temperature only once and as and when there is a change in the temperature the furnace or the cooling unit acts accordingly. Hence, you are saved the hassles of adjusting the thermostat whenever there is change in the temperature. Another obvious benefit of zoned HVAC systems is enhanced comfort and convenience. In a multi-level home there is change in temperature throughout the house and the temperature requirement also varies from one room to the other due to a number of factors. When a home has a zoned HVAC system, this problem is solved as each zone’s thermostat to meet the individual demand of heating and cooling in the different zones of the house. It needs to be mentioned here that zoned system also does away with hot or cold spots. As the zoned thermostats reacts to individual temperature changes there is an overall increase in the comfort level. 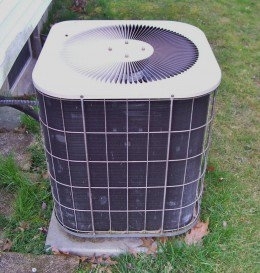 From the above advantages it is clear that when an HVAC system is zoned, the life span of the unit is increased. This is because the units perform most efficiently and the resultant wear and tear on the appliances is lesser which in turn contributes to a longer life of the HVAC unit. 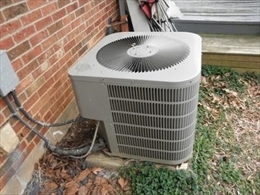 You might thinking that zoning a HVAC system could be a quite a simple process but that is not the case. Hence, it is better if the whole process is left to trusted HVAC professionals so that the zoned HVAC unit performs as desired. Last but not the least, the accessories that is required to upgrade an existing HVAC unit to a zoned HVAC unit include zone control panel, thermostats, zone dampers, and bypass dampers.